Italy is one of the European and world leaders in the organic market. In spite of the economic crisis and the reduced demand in the food division between 2007 and 2011, the sector is strong and continues to grow at a definitely important pace. According to data shown by the Ministry of Agricultural and Forest Policies, Italian producers amount to 47,663 units (2.6% of farms) and to a surface of 1,113,742 hectares that correspond to 8.6% of the overall agricultural surface utilized. On a market level, the latest data from the Institute of Services for the Agricultural Food Market – ISMEA – show a growth that is sustained by internal demand. The first quarter in 2011 saw, compared to the same period in 2010, an increase of 11.5% for organic pre-packaged products and 9.2% for vegetables and fruit. It is clear then why Italian operators are present on an international level and that they are observing the Balkans carefully. Bioagricert, ICEA and Suolo e salute bio are the most active in the region. Bioagricert is active in Serbia, where it has an agency used also as “antenna” to monitor developments of the sector in Kosovo and Macedonia. It’s recognized by the Ministry of Agriculture and carries out certifications through local inspectors. In truth, organic production for Bioagricert risks becoming a secondary sector because there is growing attention towards the standard GLOBALGAP (Good Agricultural Practice). GLOBALGAP is a private association that establishes voluntary standards for certifying agricultural products worldwide, with the aim of realizing a single standard for good agricultural practice. Bioagricert is also has local offices in Bulgaria and Romania. ICEA (Institute for Ethical and Environmental Certification), operator with a strong international vocation, is involved instead in Albania, Bosnia Herzegovina and Croatia. 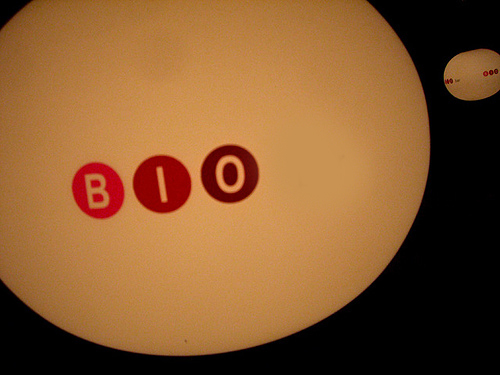 Other than the certifications tied to the agricultural food sector, it is active in non-dietary certifications, such as cosmetics, transnational cooperation projects – like Biolfish, made to promote organic and quality productions in the sector of water culture – and in educational initiatives – like the one organized in Bosnia Herzegovina in collaboration with CEFA (European Committee for Education and Agriculture) and Organska Kontrola. ICEA has a permanent office in Albania and Croatia and is recognized by their respective ministries for the inspection and certification of organic agricultural food production. On a regional level, it is active also in Greece, Moldavia, and Romania. Suolo e salute bio (transl. : Organic soil and health) is active in Serbia where it has an agency and obtained recognition by the ministry of Agriculture. It also has an agency and is recognized in Romania and Bulgaria, and certifies producers from Moldavia, Kazakhstan and Ukraine. Italian operators are active also through many cooperation projects. On a whole, bilateral and multilateral projects have had an important role in training skills and creating the basic structures needed to launch the development of the sector. and aimed at the creation of local experts. Along with BIO 84, IAMB has an extremely rich training offering that includes many courses, both traditional and home study based, dedicated to organic production and distinguished by a territorial connotation strongly tied to the Balkans and the Mediterranean (interviews; ISMEA – IAMB, 2008). The same collaboration between IAMB and MAE is re-proposed in the initiative Capacity building: Strengthening the Kosovo MAFRD for the Improvement of Vegetable Production According to EU Standards that is included in the actions launched to support the primary Kosovo based sector and directed at nearing EU standards in fruit and vegetable production and at creating a national service that supports the development of organic agriculture (MAE – DGCS, 2009). Another project realized within the scope of the Interreg program, that again sees the involvement of the IAMB, is the SIAB (Strengthening of business services and institutional support for the development of organic agriculture) that, between 2003 and 2005, saw the involvement of institutions in Albania (Agriculture University of Tirana; Ministry of Agriculture, Food and Consumer Protection), Bosnia Herzegovina (Biotechnology Institute of the University of Banja Luka), Croatia (Podravka – Department of Agricultural Development; Institute of Agricultural Extension of Croatia), Montenegro (Biotechnology Institute of the University of Montenegro) and Serbia (Agrarian Institute of Sombor). Among the objectives of the SIAB project are the strengthening of scientific cooperation, the improvement of organic support services, the support of public institutions, and the strengthening of professional skills in both public and private sectors (BALKANS OBSERVATORY, Database Re.Te. ; ISMEA - IAMB, 2008). Always within the scope of Interreg programming, between 2004 and 2007, IAMB coordinated the bilateral project PAB (Integrated finished project for the diffusion and technical assistance in implementing methods for the production of organic products) that saw the collaboration of a network made up of 14 Italian and Albanian partners. ON the Italian side some worth mentioning are the Agrarian Faculty of the University of Bari, the Agrarian School of the Park of Monza and numerous local institutions, while on the Albanian side some were the Albanian Ministry of Agriculture, Food and Consumer Protection, the Agricultural University of Tirana, the Arboriculture Institute of Valona, the Plant Protection Institute of Durrës and the Albanian Organic Agriculture Association (ISMEA - IAMB, 2008; IAMB, 2007). The network of Italian operators involved in the organic market in south-east Europe is therefore extremely dense: next to the IAMB of Bari, leading institution for skills and its lavish efforts, come operators from almost all the Adriatic regions and others interested in the sector or historically involved in the Balkans. On a territorial level, the Italian presence covers the entire region, even if the more involved countries are Albania and Bosnia Herzegovina. The interventions overall are very articulate and have addressed a multitude of actors and segments of production. In the many different projects, in fact, there are universities and research institutions, public administrations, sector associations, experts, and producers. This goes to underline the wide field of vision given with regards to organic production, with the overall support aimed towards strengthening the institution, aspects of production, training (on multiple levels), and the strengthening of research and associations. 1 Law (No) 84, from March 2001 'Provisions for Italian participation in the stabilisation, reconstruction and development of countries in the Balkan region" published in the 'Gazzetta Ufficiale' No 76 of 31 March 2001.